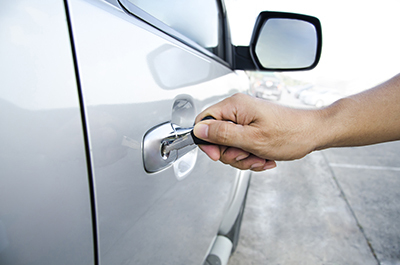 Immediate locksmith services by the most excellent technicians. Full 24 hour assistance! Get an expert opinion by the best professionals about lock maintenance and repair here. Short, simple answers on how to deal with usual lock issues, how to choose dead bolts and how to avoid lockouts! Why do I have to wiggle my keys to make it work? This is because locks age and deteriorate like any physical entity. Constant use makes the pins in a lock tend to wear down. This would lessen the compatibility of the key and lock and one would have to wiggle the keys to make it work. In this scenario, a change of locks and keys or a re-keying is appropriate. How can I avoid lock outs? Aside from the need to be constantly alert, you can also implement a keyless entry system. According to professionals at Locksmith Glendale, this means installing a deadbolt operated by a touchpad. Also, it is very important to have a passage lock. If you do not want to avail of these options, it is also possible to contact our company for advice on emergency situations. Do I need to replace the locks after a burglary? It is obvious that if the intruders have broken or seriously damaged the locks of some doors or windows, you will need to have the locks replaced immediately. Our locksmith company in Glendale also suggests checking all the door locks of your house. If they are old and vulnerable, change them, too. Why must bolts be long? There are variations among dead bolts on the market but the experts of our locksmith service in Glendale insist that 3 inch long bolts will secure better. The point is to have the bolt securing not only on the door frame but on the wall, too. Otherwise, intruders could bring down the frame and along the door locks. How do we check the security of a new home? You must check all possible entry points whether they are at the ground, underground and upper floors and see what locks each entrance has. If this is a rental, investing in new security locks might come expensive so talk to the landlord. How do I choose new locks? When you choose new locks, you must think of what door or window you wish to secure. Is it easily accessible by intruders? 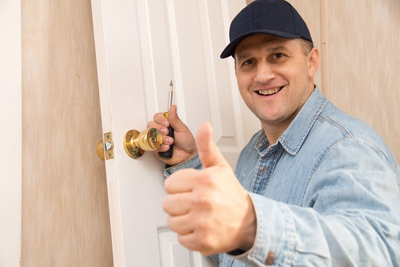 Give more attention and pick better security locks for ground floor entry points but don't forget that burglars will climb on the first floor, too. Make sure they are durable and of good quality. How do lock rekeying and replacement compare? In the first case, only the configuration of the lock is changed and it can be used only with a new key. In the second case, you get a new lock which could be more advanced.